Looking back in our archives, we realize that there are some really yummy recipes where the photos MaMa's taken just don't do the dish justice. Since some of these recipes are our favorites and we make them often, we thought it was high time to take some new photos. First up - Wheat and Veggie Tacos. These tacos are so quick and easy to make that they are a go-to at our house. Notice the homemade tortilla? Yep, we've been trying out different recipes. 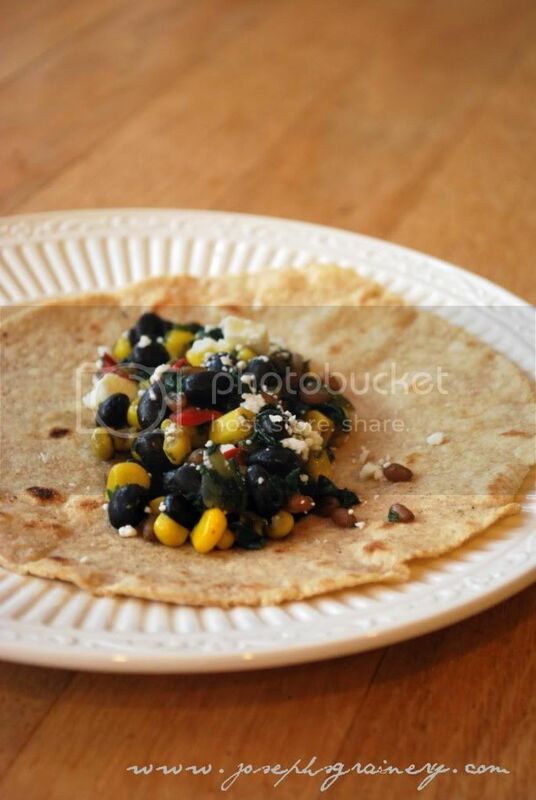 Does anyone have an amazing recipe for a whole wheat tortilla? MaMa would be forever grateful. 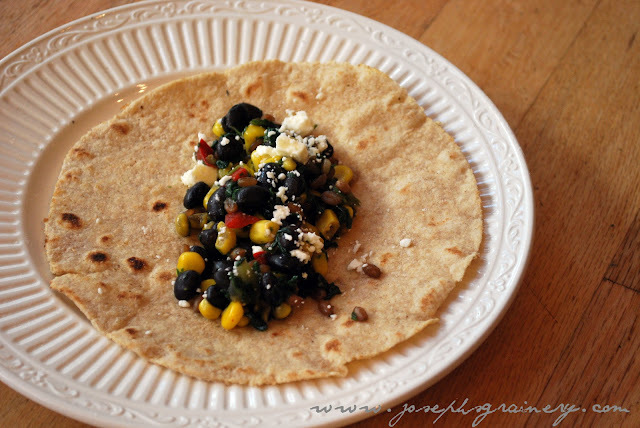 Wheat and Veggie Tacos make for a quick and easy dinner. On another note...Come say hit to us this evening (or tomorrow) if you're in Whitman County, Washington! 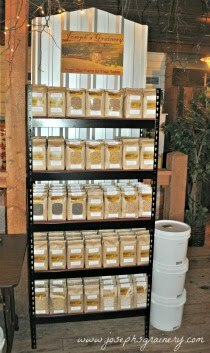 You won't want to miss Colfax's Hullabaloo, it's their annual Fall Festival, and we'll be there, so come stock up on your whole grains and freshly ground flours. Guess what else we'll have? Our new Joseph's Grainery Multigrain Pancake Mix will be available. Come and pick some up...it's getting rave reviews! Keep an eye out for me if you are in Colfax. I think MaMa and Grandma have entered me in the Kid's Parade on Saturday.